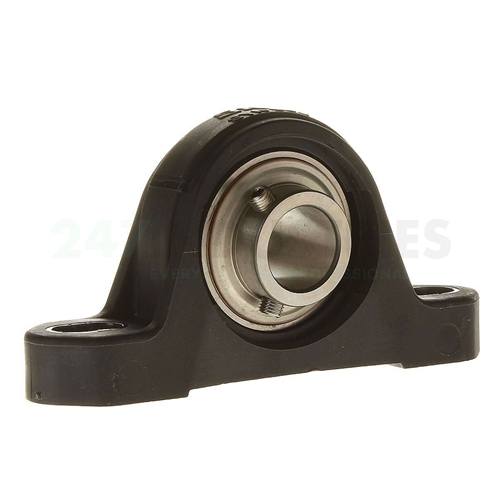 The SYK20TH/GFA SKF bearing is a housing and bearing (assembly) with a standard seal for Y-bearings. Technical details (TH/GFA) TH=Bearing Of Series YAR2-2RF/HV (Inner Ring Extended At Both Sides, Grub Screw Locking, Rubberised Flingers, Bearing Of Stainless Steel). GFA=Special Non-Toxic Grease Fill.